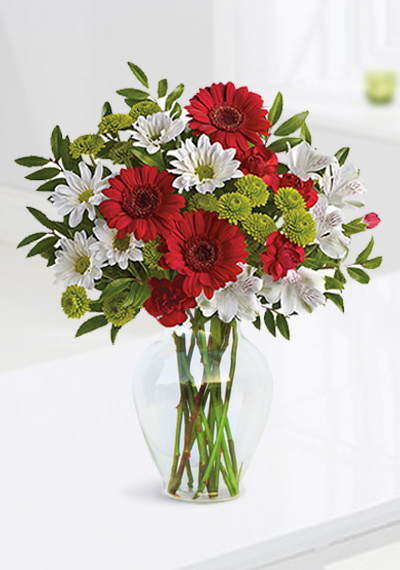 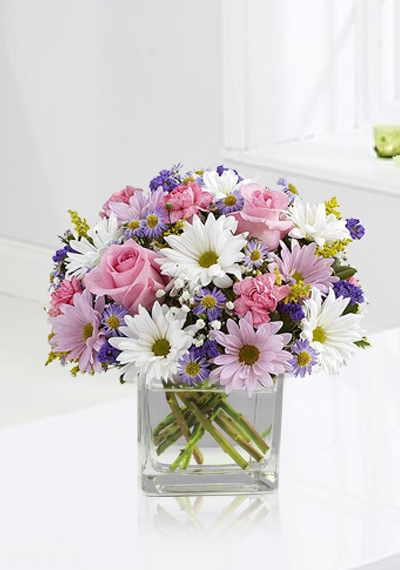 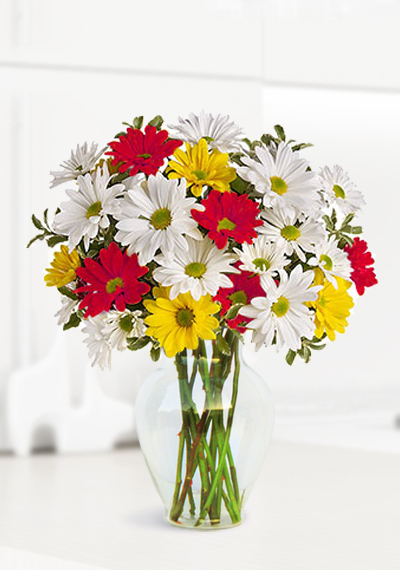 What could be sweeter than a cheerful filled with white, Red and yellow daisies? 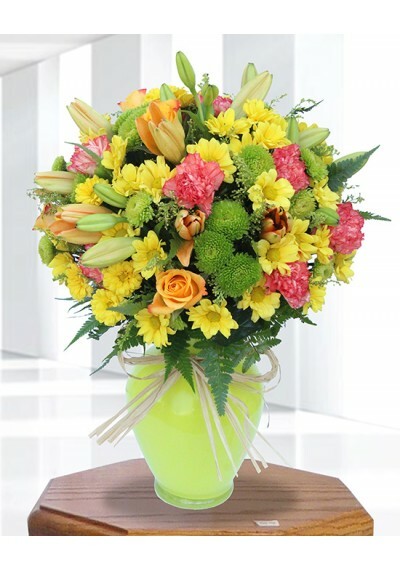 Can't think of anything? 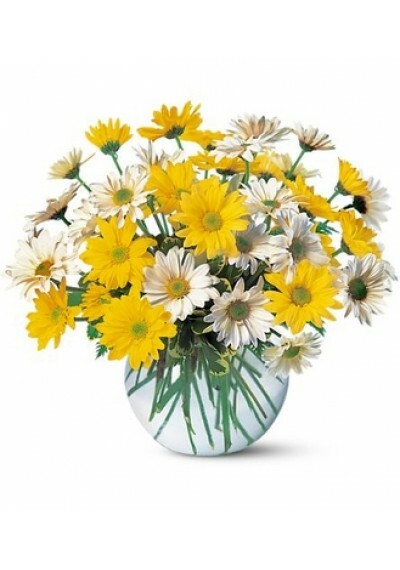 Then choose this sunny bouquet. 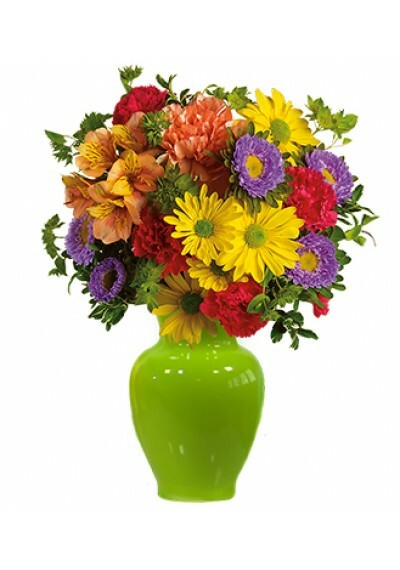 It will brighten their day.